Virtual reality is on everyone’s mind, at least in the tech industry, and it has companies going crazy to jump on the “next big thing” bandwagon. Apparently Apple’s making waves in its own ranks to not be completely left behind. 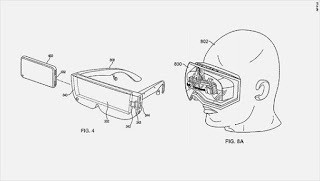 According to a new report from FT, and citing people familiar with the matter, Apple has been putting together a secret team to kickstart its VR endeavors, aiming to take on Facebook’s Oculus Rift, and even Microsoft’s HoloLens headsets. The teams are working on both virtual reality and augmented reality, and Apple seems to be weighing which experience would be best for its customers moving forward, but it all seems like it might still be a project that’s just getting off the ground. The team itself is comprised of many different folks that have been involved with altering reality in one way or another, whether that’s from companies that Apple has directly acquired, or from persons that have been hired on from competing companies, including from Microsoft and the camera start-up Lytro. This news also follows in line with Apple hiring Doug Bowman, a leading researcher in virtual reality. The report states that while Apple has had passion for VR in the past, even dating back to 2000, the technology back then was simply too weak, and so the company abandoned whatever those plans were. However, with Facebook’s acquisition of Oculus in 2014, Apple’s drive to bring VR to its customer has apparently been given a big boost. Indeed, the company has made acquisitions in the past that could boost its efforts in VR, including the acquisition of PrimeSense, a company that focuses on real-time motion capture. There’s no doubt that VR is a big thing right now, as just about any company that can is focusing on the technology in one way or another. That includes HTC, Samsung, Facebook/Oculus, Microsoft, Google, and many others. Many believe Apple’s entry into the market is inevitable, and this report would seem to echo those expectations.